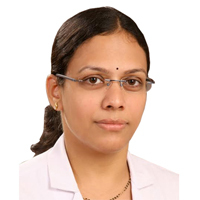 Dr. Sridevi Paladugu is a Consultant Endocrinologist . Apollo hospitals, Hyderguda, Hyderabad . Apollo hospitals, Jubilee hills, Hyderabad . Thyroid nodules and thyroid cancer. Life member Endocrine society of India. Recipient of medal for scoring highest marks in MD. Recipient of Vaidya Sri award. Presentations: She has presented at international and national conferences ,with publications in many journals .